When you have your hearing tested, you receive your results on an audiogram. This chart shows where your hearing issues reside and what pitches and frequencies you struggle with. 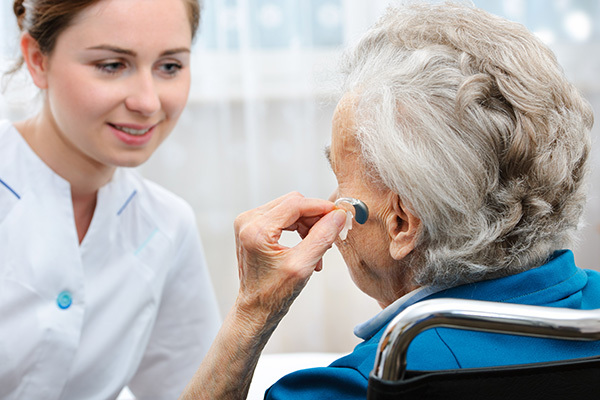 These results will be used to properly program your hearing aids for your specific needs. Talk with your audiologist about which features and settings you need to use most and if you need to manually switch between these programs or if your hearing aid will automatically adjust. When an audiologist fits you with hearing aids, they will provide you with a brief overview of how to take care of your hearing aids. This is extremely important information that you must listen to carefully in order to avoid any future mishaps, miscommunication and inconvenience. Watch closely when the audiologist demonstrates how to insert and remove your hearing aids into and from your ear canal. You must also learn how to clean your hearing aids and change the batteries when necessary. For many people it is beneficial to bring along a friend, partner or family member to the hearing aid fitting. This appointment involves the sharing of a lot of critical information that can be overwhelming or difficult for one person to absorb and remember. Having a supportive friend or relative makes it easier to record important information and ask any questions that might be lingering. The hearing aid fitting appointment is not just a one-way flow of information from the audiologist to you. It also requires you to provide your feedback on how well you are hearing and how comfortable you are with your new hearing aids. Make sure that during any such exchange of information, you are completely honest and open about your feelings and comfort level. Your honest feedback can be highly beneficial for you in the long run and can avoid frequent hearing aid adjustments. Wearing hearing aids is a huge lifestyle shift and it can be pretty hard to adjust to all the new sounds you start hearing again. However, having a positive and accommodating attitude towards hearing aids can help you adjust to the new changes much faster. Talk to your audiologist about any difficulties, questions or concerns you have regarding your hearing aids. They want to ensure you are happy with your devices and will be happy to answer any questions and make adjustments as needed.